A real estate appraisal is a linchpin around which everything revolves in the industry. Importantly, an appraisal form an integral part of the sale and purchase of property, especially when the potential buyer intends to seek funding from a lender. The most common mistake many people make is comparing an appraisal to a home inspection. If you are in this category, then you should know that the two are nothing alike. The job description of an inspector is to ensure the property has no structural issues and all mechanical and subsystems are in good working condition. On the other hand, an appraiser observes the house in its current state, compares it with other property in the area, and comes up with valuation. Nothing can happen in real estate until report generated by the appraiser is signed, and an explicit opinion of property’s value is provided. Therefore, whether the property in question is a $200 million tower in a metropolitan city or a single-family house in the suburb they all have to follow the same procedure. What does a Real Estate Appraisal Entail? You should know that an appraiser should be independent and unbiased while at the same time being practical and realistic. Notably, two different appraisers can undertake the process the same day and come up with different values. However, even though some extent of error is allowed, the value given by the two professions should not have very big margins. Therefore, an appraisal report should be subjective and provide a comparison of other properties that have sold or are on sale in the area. With that in mind, an appraisal report should entail. • Description of the area that the property is located such as busy street or country road and the neighborhoods. How Does Appraisal Impact Real Estate Transactions? Currently, there is a major disconnect between the lenders and the appraisers. The latter views the former as money-hungry organizations that do not understand the appraisal profession. On the other hand, the lender thinks an appraiser is there to get the deal done. However, you should realize that an appraisal plays a crucial role in determining if a lender will approve your loan. Another thing you should be aware of is that your home appraisal can also affect your home loan during refinancing since it determines the interest rates you are charged. 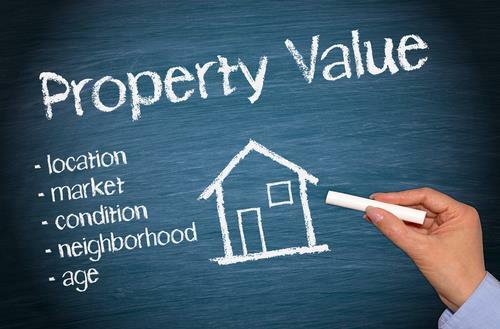 Importantly appraisals determine the loan-to-value (LTV) ratio. For instance, if Mr. John’s property LTV is 75% or lower, then it means he will get low rates as the lender deem the risk of the loan to be low. However, if it increases Mr. John is required to refinance to a lower interest rate. Real estate appraisals are crucial because they help you know the value of your property when selling, taking a mortgage, or paying taxes. The questions that many people ask is how much will it cost them to get an appraisal for their property. Of course, the price will vary depending on the size of the property and location. However, one thing that I am always sure of, the process is worth every dollar especially if you hire professionals with good experience. Doug Hansen Real Estate is a professional real estate agent in West Michigan who will help you with all real estate-related issues such as selling your home, purchasing your next home, appraisals, short sale, and property inspection just to mention a few. We pride ourselves with qualified employees who will offer professional counsel on matters pertaining to real estates. Call us today on (616-485-8955) then sit back and relax while we handle your real estate transactions. Give the appraiser room to work when he is there. Be available to answer any questions they may have but give them space to inspect the home, they know what they are looking for. So who pays for the appraisal? This is a negotiable term of the offer that is often times dictated by the local market. For example, in a seller’s market where the seller has more control in the deal, they may request the buyer pay for the appraisal, especially in a multiple offer situation. In a buyer’s market, the buyer will often ask the seller to pay for the appraisal. It is 100% negotiable and can be offered and countered at will. If the appraisal returns a value that is less than the accepted offer, the loan will only be approved for the appraisal amount. The seller would need to bring the price down to appraisal amount or the buyer may need to pay the difference in cash. If this is an all-cash transaction, nothing will probably change unless the buyer decides the home is now only worth the appraised amount and won’t complete the transaction. The true value of a home is what the buyer is willing to pay for it. Long story short, it is a negotiable term in the purchase contract but depending on the market, purchase price, and other factors sometimes the seller may pay for it and then in other cases the buyer may pay for it. If you are selling your home, generally you will pay for the assessment. It is usually in your best interest to do so as you can then choose the appraiser and he is working in your best interest. If a buyer wishes to have his own appraisal done, having a counterbalance to his appraisal is not a bad idea. In fact, we will suggest that you have an appraisal before you place your home on the market. What better way to determine real market value than to have a certified appraisal. You’ll be able to better prepare yourself for the probable value and will be able to avoid low-ball offers based on the fact that you can share that appraisal with the buyers real estate agent.